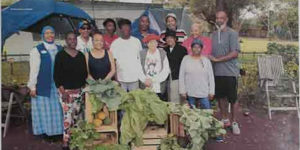 Education, Economic Development, Health Disparities – These core issues directly impact our organization’s ability to help “Preserve the Eatonville Community.” To each of these tasks, we bring certain resources, capabilities, and connections. With education, our organization has considerable resources, both in terms of staff and partnerships to provide quality academic and life skills support. As P.E.C. has focused on our ZORA! STEM Initiative, a 10-year commitment to a research-based approach to preparing academically under-represented middle school youngsters for STEM-focused education, we see more clearly just how strong is our capacity to deliver on this aspect of our program objectives. For example, our E-WE Lab staff employes a manager who holds a double masters, one in English and the other in counseling and who brings over 30 years of experience. Also employed is a retired elementary school teacher with 3-decades+ experience. That our staff is effective in its academic support of elementary grade students is born out by our data collected on a core group of clients, and that core group is expected to meet at least one of the outcomes, per the contract with the Orange County Citizens’ Commission for Children.Strengthing further our core staff is the extensive educational network of which P.E.C. has become part. For example, the success of our 2nd ZORA! STEM Conference for students in grades 6-12 as well as our ZORA! 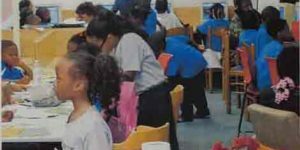 STEM Summer Program are directly related to our partners’ educational expertise and/or financial underwriting. Our partners include: National Center for Simulation, Valencia Community College, Orlando Science Center, UCF College of Medicine, Brighthouse Networks, Duke Energy, InGlur, Inc., Naval Air Warfare Center Training Systems Division, Orange County Public Schools, UCF College of Arts & Humanities, techPATH, Team Orlando and Florida High Tech Corridor Council.